The power injectable primeMIDLINE Catheter is designed to provide reliable peripheral access to the venous system. The primeMIDLINE Catheter combines soft polyurethane material and a low-profile luer hub for patient comfort. All lumens are power injectable to eliminate the need to select the appropriate lumen and minimize interruption of work flow. The primeMIDLINE Catheter offers the only high flow power injectable 3F midline catheter rated 5ml/sec. 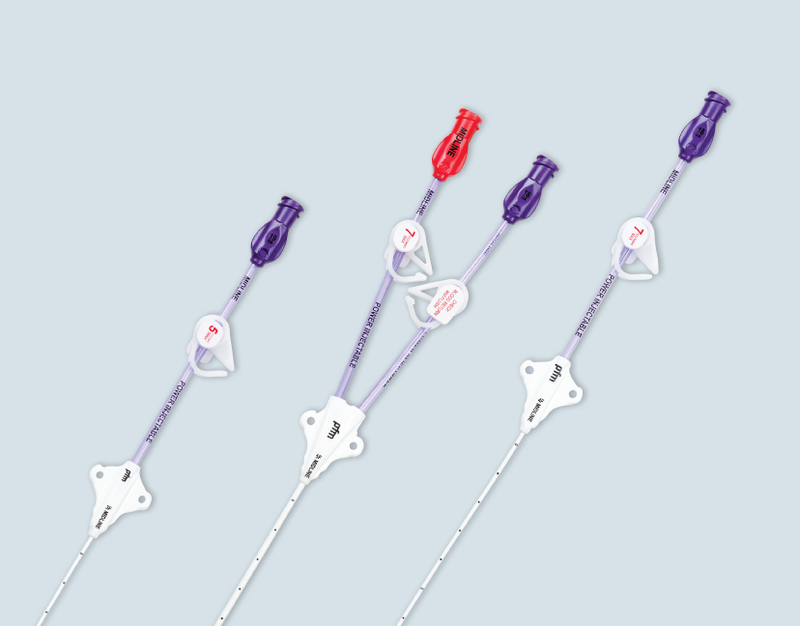 The primeMIDLINE Catheters are indicated for short term access to the peripheral venous system for selected intravenous therapies, blood sampling and power injection of contrast media. These catheters are indicated for patients older than 28 days and that weight more than 10kg, with consideration given to adequacy of vascular anatomy and appropriateness of the procedure. The primeMIDLINE Catheters are suitable for use with power injection.